Finally. 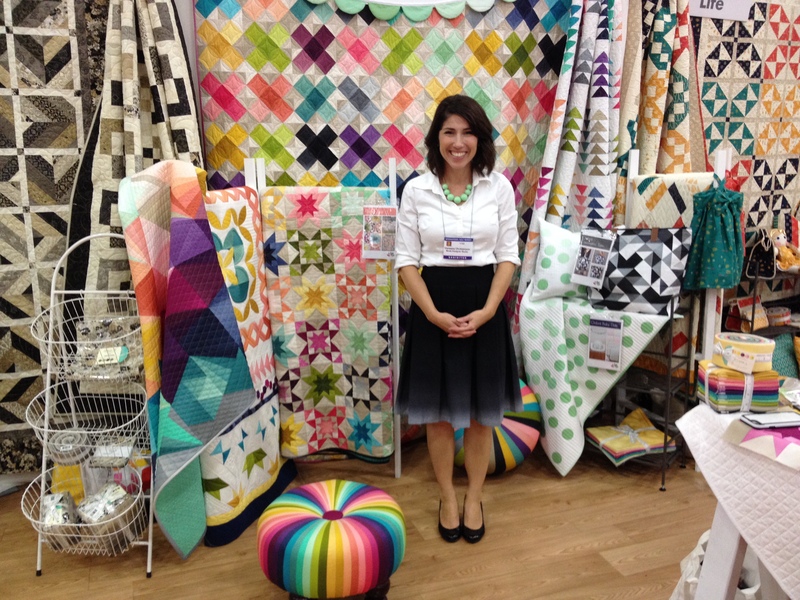 I went to Quilt Market 2015 in Houston. It was quite an experience as we all spent some time worrying about the remnants of the strongest hurricane in the western hemisphere, which blew through Houston over quilt market weekend. 12 inches of rain or more. Thankfully, the day I left the sun had returned. Weather notwithstanding, I had a great time. I met so many designers, my head is spinning. 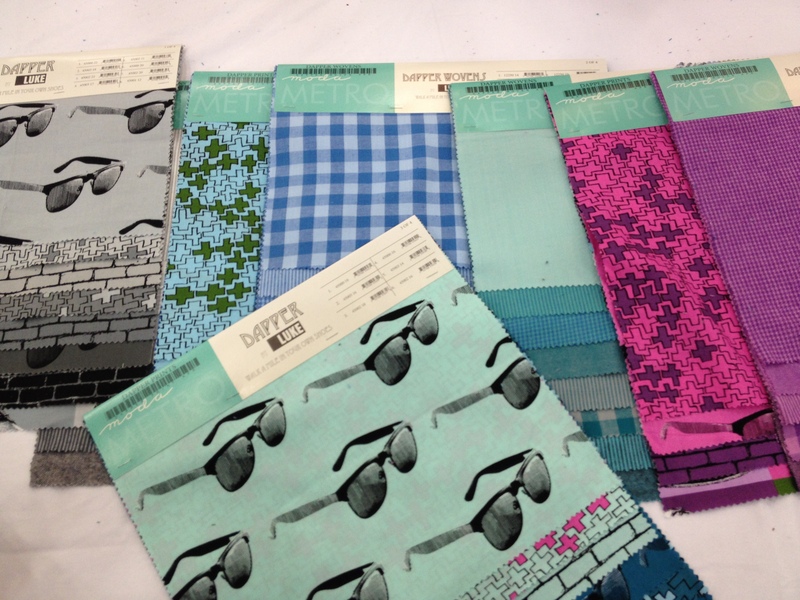 Plenty of pictures to share with you, and you’ll get some idea of what the trends are for next spring. Zen Chic fabric “Flow”. don’t you LOVE it? 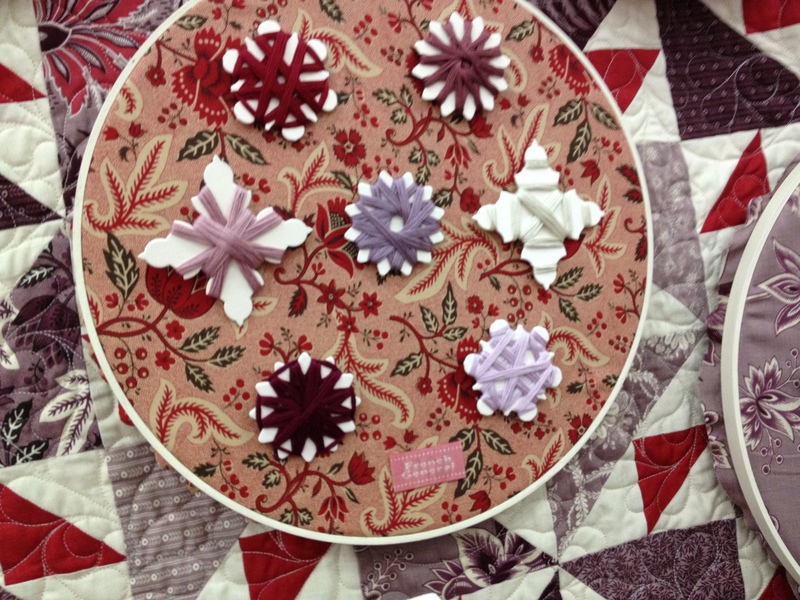 Sue Spargo has a coffee table book coming out in time for Christmas. Glorious photos of her work. 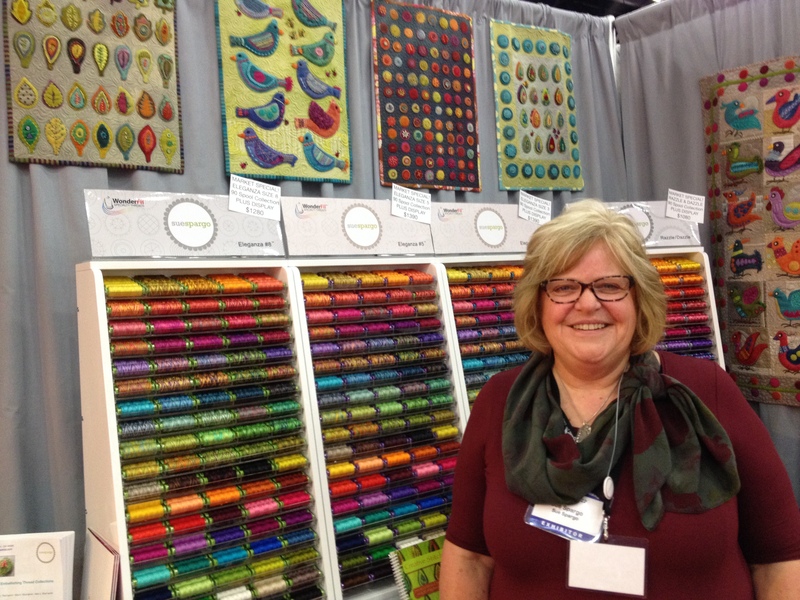 The delightful Sue Spargo at her booth. I want every bit of her thread. New line from French General. Those thread holders were cut with Sizzix, and French General will now be selling hand floss. 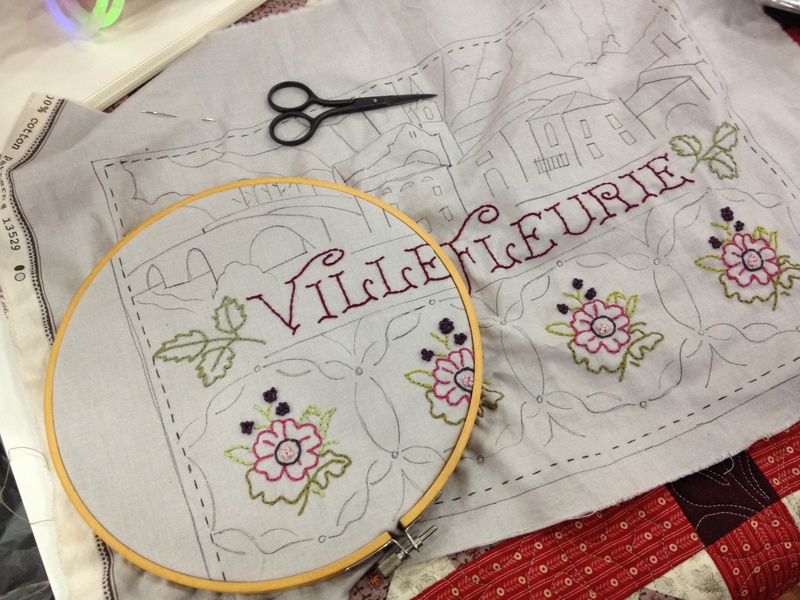 French General’s new hand embroidery. 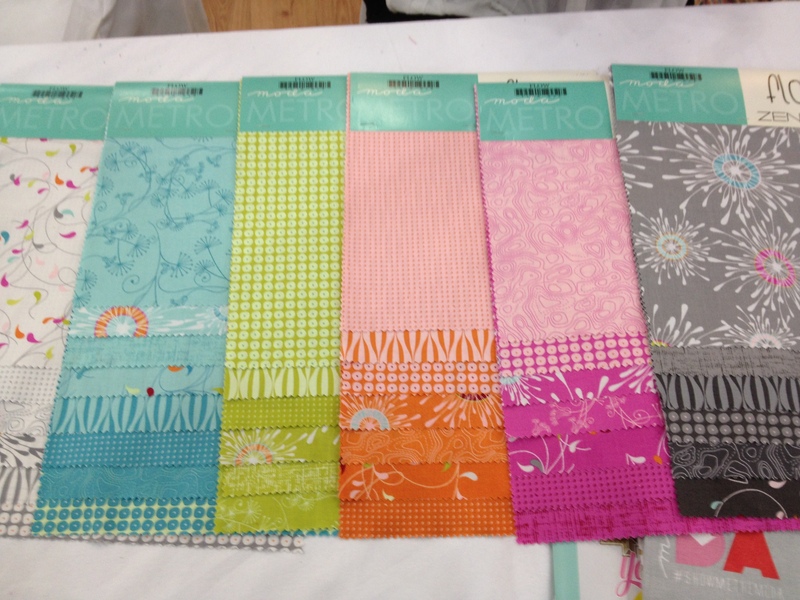 Stores will be able to sell the design along with the matching thread. Perfect! 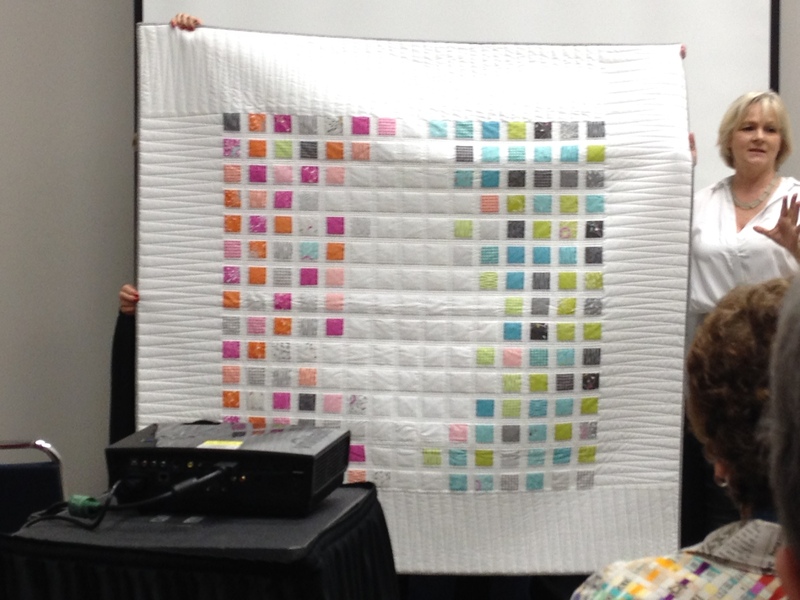 This sample was the one that was hand drawn by her husband 2 days before market and used as the prototype for the new pattern. New collection by Luke Haynes a new Moda designer. 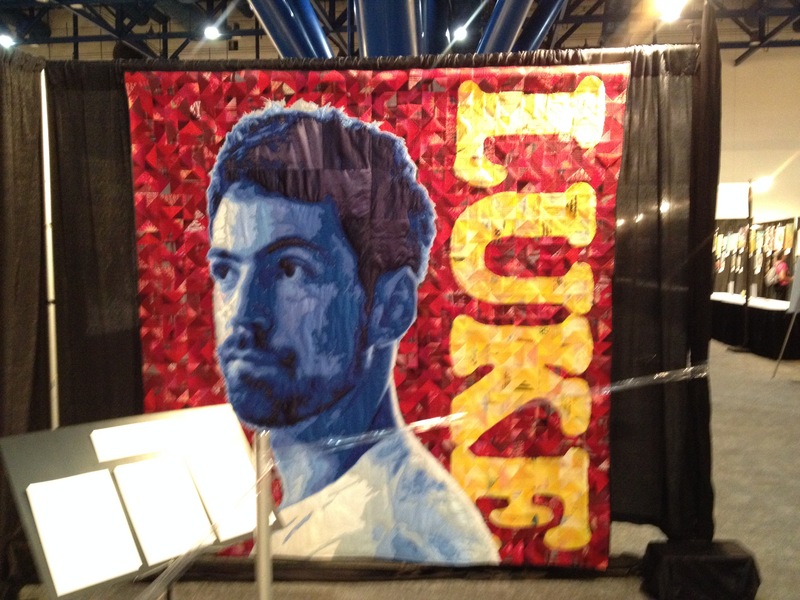 Here’s Luke’s self-portrait in the gallery. Yes, the entire background and his name are made from flying geese. Love it. 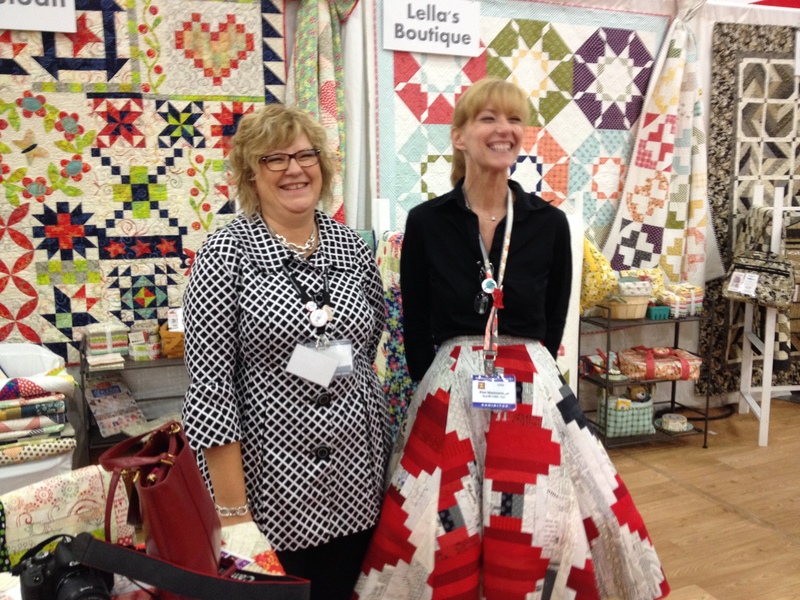 Designer Pat Sloan alongside an Aurifil rep who made a log cabin quilt and cut it up into her skirt! She had to twirl all day to show everyone! Vanessa from V and Co. with her FABULOUS ombre fabric all around, including her skirt. Stay tuned for more. As I process the photos, I’ll share what I can. 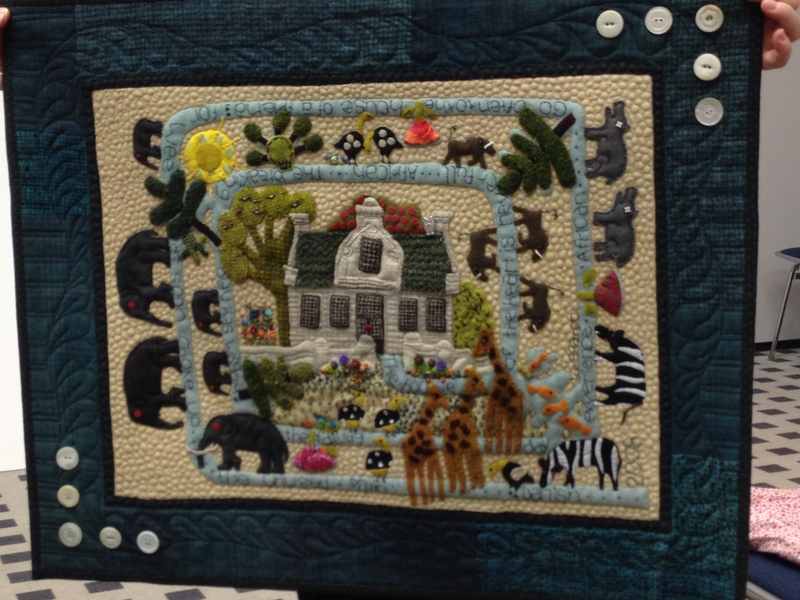 This entry was posted in art, Creativity, embroidery, Quilt Market and tagged Quilt Market 2015 by edges. Bookmark the permalink.